Insert evil laugh. 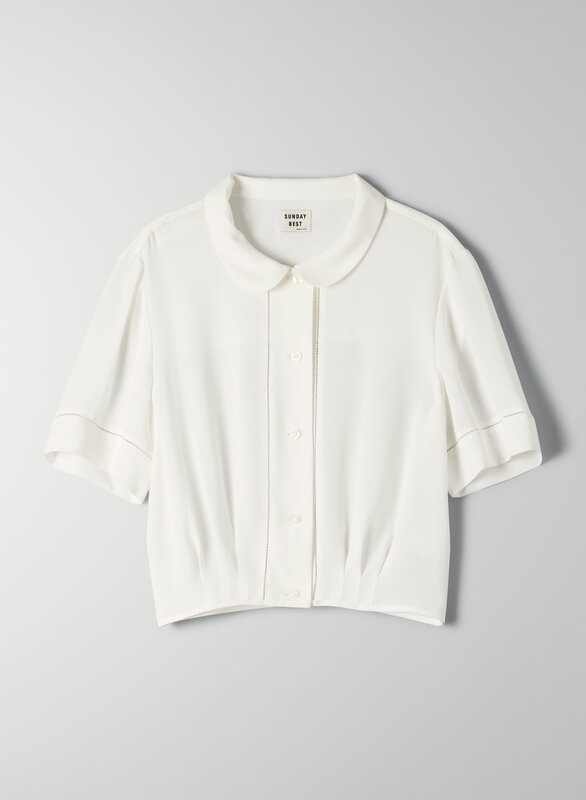 This is a cropped blouse with pleats at the waist, a Peter Pan collar and contrast stitch detailing. It's made with a lightweight georgette fabric. This fits true to size. I’m a little longer in the torso so the top sits a bit above my waist. It’s a super cute top! The blouse is extremely flattering and great for work! Although, it was missing a button when it came in the mail. Bummed out that I now have to sew a new one on!